Apple’s iPhone XR is now available for pre-order, but early demand seems to indicate that the device may not experience the high sales that many people anticipated. In fact, Gene Munster of Loup Ventures says, lead times for the iPhone XR appear to suggest that sales of this particular model are currently below those of the original iPhone X that launched last year. “We were surprised to see that lead times remained entirely unchanged except for several SKUs on T-Mobile,” Munster explains in an analysis. 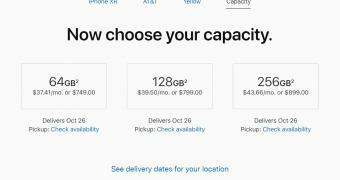 iPhone XR is the most affordable iPhone launched this year, and it comes with a $749 starting price in the United States. Apple itself expects this to become the best-selling model of the new generation, as people close to the matter said iPhone XR accounts for more than 50 percent of orders placed at suppliers. How Much Does an iPhone 7 Really Cost?